There is a weather app for the iPhone that is getting a lot of press lately. 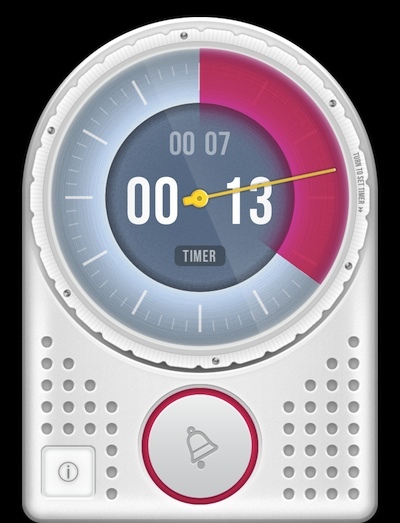 WTHR is said to be inspired by Braun design… best known for simple and easy to use interfaces. You knew looking at their devices; what they did and how to use them. The WTHR app is iPhone only and is having GPS issues so you may want to explore the next version for your iPhone (not a universal app). For the iPad there is a great timer/stopwatch app called Minu Timer. This universal free app needs no instructions (although it does include a start up ‘how to use’ page appearing on your first launch). The interface is simple and the user experience proves that a well written app will let users jump right in and get started. A lack of buttons and excessive tuning options keeps things uncluttered and removes the need to tap through to layers of screens. 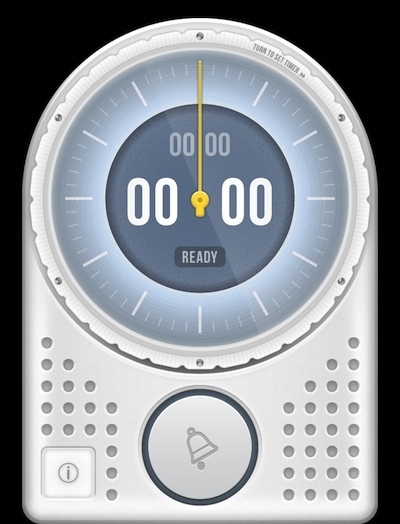 Sweep your finger to the left (counter clockwise) and Minu Timer goes into Stopwatch mode. Sweep your finger to the right (clockwise) to increase numbers for the countdown timer. There is a single start/pause/stop button. Sweep your finger in a clockwise direction and the time goes up for Minu Timer to count down. The detail is just fine enough that you can slow and stop on a number you need without overshooting much (you can sweep back and forth to pinpoint) while still being easy to sweep around the face a couple times for larger numbers. When the timer is running, a nice extra feature that Minu Timer has is the growing red area. The timer hand winds down in a counter clockwise direction while the red area grows in a clockwise direction. This is nice when the countdown hand needs to make several revolutions round the circle, you can see quickly by the red growing area how much time in a percentage bases you have till you reach zero.